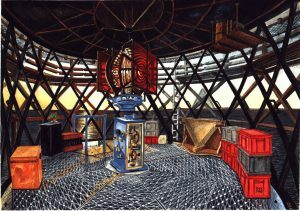 Barry Hawkins’ principal duties as a lighthouse keeper meant that he worked 28 days on then 28 days off unless, as the automation program of all the lighthouses took effect, he was transferred from a permanent posting to the Pool of lighthouse keepers who were used to fill in for sickness or vacant positions elsewhere within the Lighthouse Service, until finally the automation of the lighthouses made redundancy inevitable. 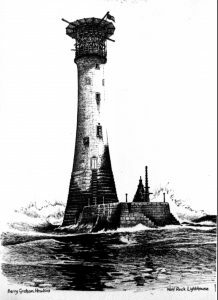 His first 18 months service was spent as a Supernummary Keeper on the Swansea West Coast District and postings varied from a week to sometimes 5 weeks, on various lighthouses from Hartland Point, in Nth. 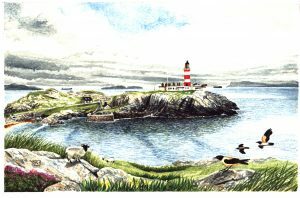 Devon to St.Bees in Cumbria. For each of these temporary visits Barry would jump on his trusty MZ Supa 5, 250cc motorcycle, load up with his painting equipment, uniform and other personal effects then set off from his home in Cardiganshire for the lighthouse in question. 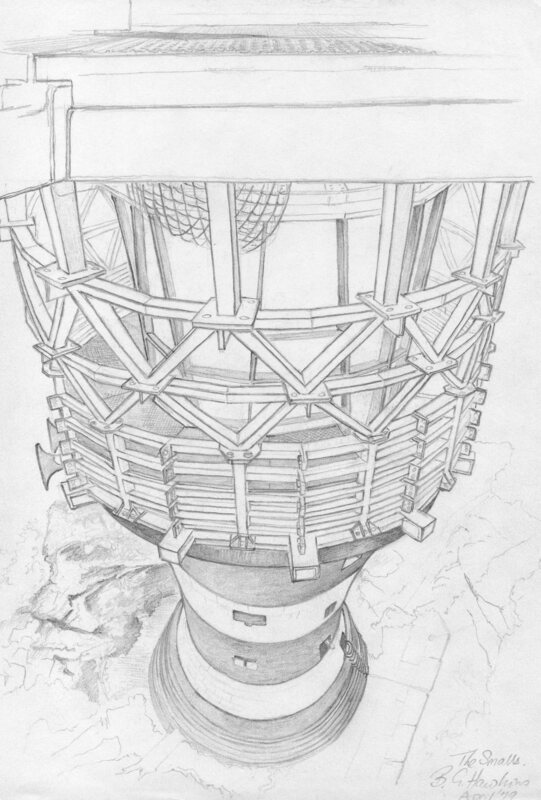 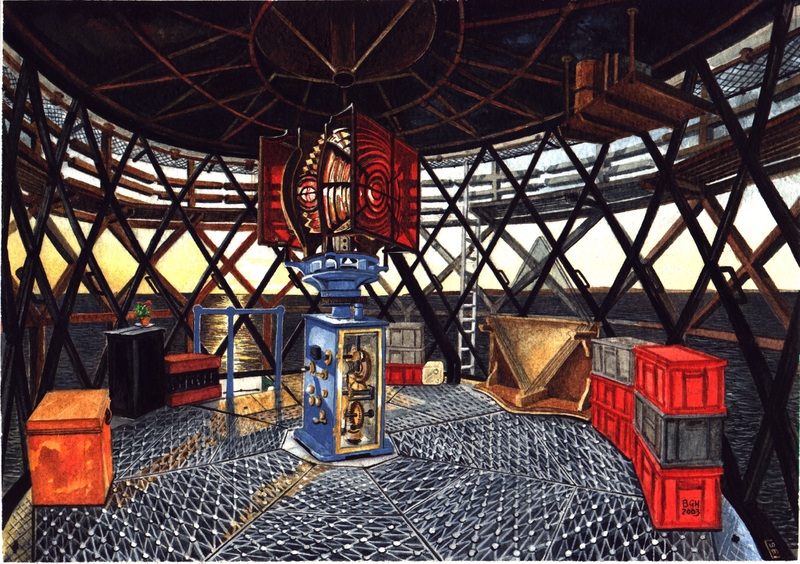 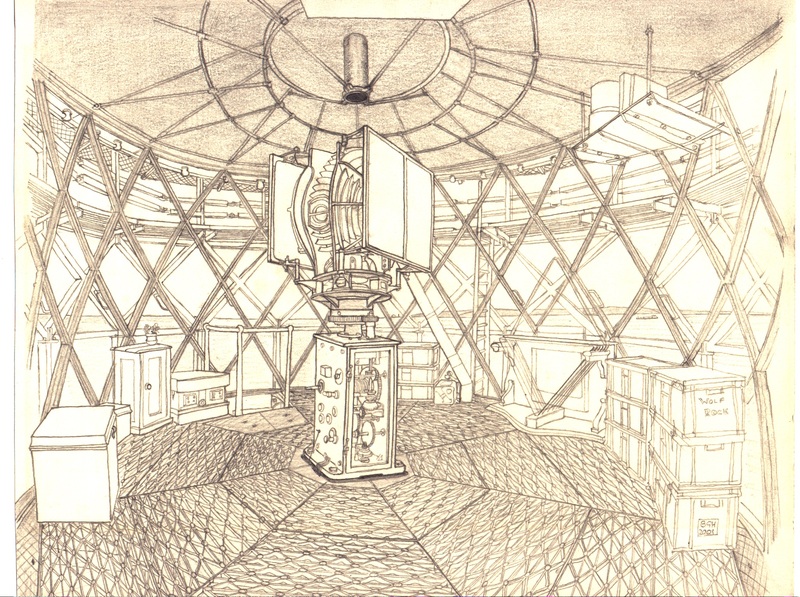 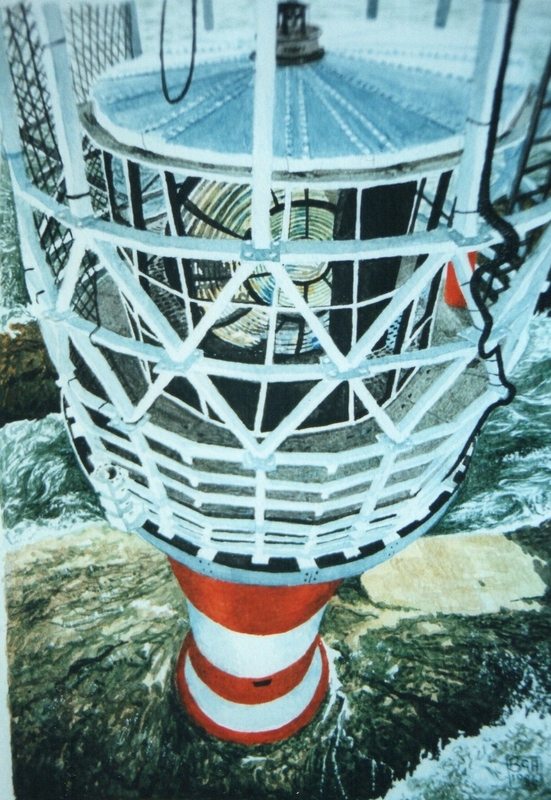 The first he was sent to was Strumble Head Lighthouse near Fishguard, W.Wales where he turned up in a howling gale, rain and the wailing noise of the wind in the overhead crane wires. 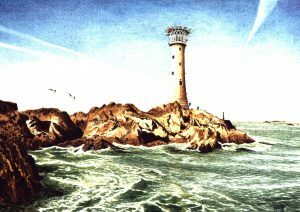 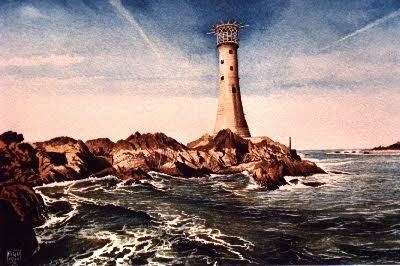 Subsequently he was posted permanently to the notorious Wolf Rock Lighthouse 8miles S.West of Lands End, Cornwall, then to the Skerries Light off Holyhead, Angelsey, Nth.Wales. 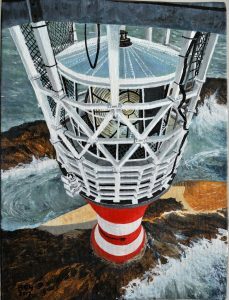 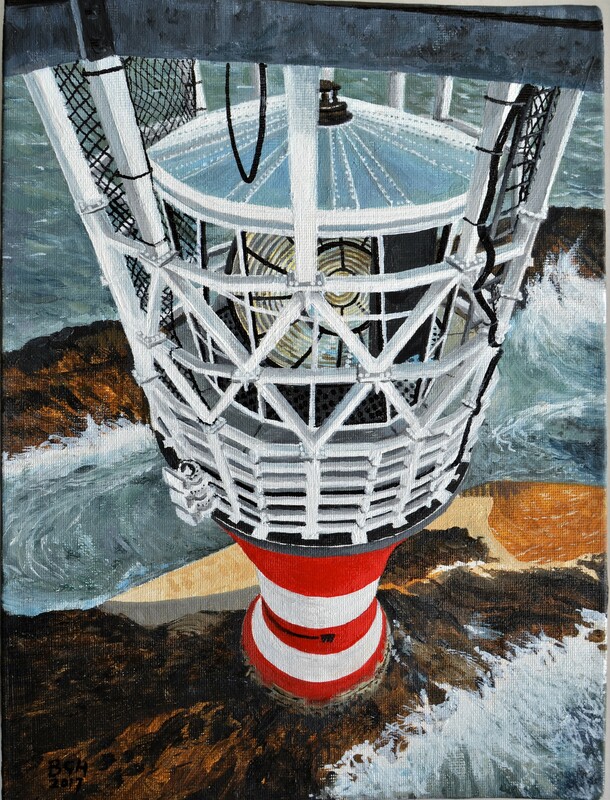 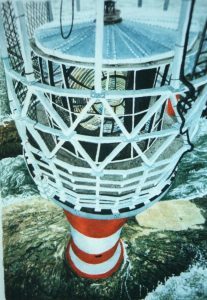 A brief sojourn was enjoyed at Europa Point Lighthouse, Gibraltar for 3 months then a 5 year spell in the Pool before his final posting to St.Anne’s Head Lt Ho, off the entrance to Milford Haven Sound, Pembs.